Mind Development (Meditation) is a practice in which one attains greater awareness, wisdom, self-realization and deep relaxation. During the retreat, we study the various aspects of mind training and learn different Suttas (Teaching texts) that explain these aspects. We also practice the four meditation positions, sitting, standing, walking and lying. Basic mind development exercises include creating a clear awareness of the body, feelings, consciousness, and Dhamma (state of mind), awareness of breathing and the development of friendliness.  The times of meditation retreats are shown on the ACTIVITIES page. What does mind training mean (meditation)? Overview of enlightening teachings. Why it is important to train the mind? Basic instructions for training mind. Four positions of mind training. The right attitude as a prerequisite for practising a successful mind. Open microphone: teacher answers questions. Making donations, getting to know the island, exchanging information and contacts, etc. NB! In case someone wants to leave earlier, please be informed immediately on the first day. The course is free. Organizing our mind development courses is based on the principle that the costs of each group are covered by the previous group, it means each group makes a donation (dāna) for the next group. The next retreat depends on the previous group. The food, drink, electricity and other expenses of each retreat have been paid in advance by the previous group. In this way, the participant receives a kind of generosity from the previous participants and develops a kind and selfless gift. If you want to make a donation to the next mind development retreat (food, electricity, etc.) or to support the travel expenses of the teacher (s), your donation will be accepted with humble gratitude. The mind training (meditation) retreat is built on the assumption that the participant passes the entire program. The goal is to teach mind development techniques so that each participant can apply them later in everyday life and practice on their own. Participants should have good mental and physical health. Although mind training (meditation) offers many benefits in many disciplines, it does not replace medical or psychiatric treatment. We do not recommend meditation techniques for those who have been diagnosed with a serious mental disorder (severe depression, chronic alcoholism, etc.). Our courses are open to all people regardless of race, religion, sexual orientation, nationality, gender or status in society. However, there are some prerequisites that are necessary for retreating. Participants must be at least 18 years of age (unless there is a special retreat for young people for which there is no requirement). Participants must be able to follow the schedule and instructions which are given by the teacher/monk throughout the retreat. Participants must be prepared to adapt to simple accommodation and hygiene conditions. Avoiding and/or damaging life - the idea of destroying any life, even a small creature like a mosquito, can cause a negative attitude that undermines the practice of exercising the mind. Refraining from non-giving - this principle encourages you to be satisfied and to do what we have. Refraining from wrongful behaviour that delivers pleasure - mental, verbal or physical behaviour resulting from the joy of pleasure does not contribute to the development of the mind, but has the opposite effect: the stimulus of inexperienced enjoyment drives the mind off the path of development. As long as the mind is busy with pleasure, development of the mind is not effective. Abstinence from lying - Lying, as well as slanderous, smirch, and useless chatting cannot contribute to create and maintain harmonious relationships. Slanderous and backbiting are detrimental to interpersonal trust, creating disagreements and accusations, ridiculing, negative attitudes, prejudice and exclusion. The harsh speech is devastating, threatening, offensive, terrorizing and disgusting. This includes any speech that harasses or insults someone on the basis of race, religion, nationality, sexual orientation, gender, or status. A suitable speech is always friendly and caring and free from any (including hidden) evil. balderdash is also an obstructive and useless activity to practice the mind. Refrain from stunning substances and drinks - all alcoholic also intoxicating drinks and drugs which are dazing, as a consequence reducing awareness and responsibility. Not only alcohol or narcotics, but any kind of sensory dysfunction which destroys mental and physical health also blurs the glory of consciousness. The absence of the five moral aspects mentioned above may become a major obstacle to learning and/or learning while exercising. To create a group where you can safely practice your mind and developmentally, it is necessary to promote and maintain non-violence, honesty, peace of mind, and the quiet joy and pleasant well-being of all participants. Participants are asked not to take alcoholic beverages or tobacco products. If a person consumes alcohol regularly or smokes every day, we ask you to abandon these habits during the retreat. The participant should arrive at the retreat to learn to develop mind and practice what they have learned. If a participant is unable to control inappropriate emotions or sexual signs, the perceiving or seeing of the participant affects the whole group. Sexual activity can lead to inappropriate behavior that hinders the development of concentration. The separation of men and women helps participants to maintain and develop peace of mind and direct, bright consciousness. During the retreat, participants will be allocated to either three or four rooms. All have access to hot showers and toilets. If a participant wishes, he can bring a personal pillow and sheets, a sleeping bag, or a towel. Upon request and upon prior arrangement with the organizer, it is possible to take a personal tent and stay at the campfire site next to the house. The participant should avoid any communication (including eye contact) with the participants of the course as well as other people (eg visiting the house). Any communication with people living in the field of ordinary life during a retreat can seriously undermine the advancement of mind development. We ask you not to leave the territory of the house during the retreat as it can significantly damage your advancement in mind. You can only leave the territory of the house in an emergency or if the teacher/monk has given permission. The special time taken to develop your mind should not be disturbed or interrupted. We ask that all communication devices, such as computers, mobile phones, etc., be turned off for the duration of the retreat. If you want, you can leave a phone number and/or email with your loved ones to contact the retreat organizers. Books, magazines, and musical arrangements interfere with the development of the mind, so they are not allowed in our centre. For convenience, clothing should be spacious, simple and comfortable. The centre must not wear any leotard, leggings, or semi-transparent, tight-fitting, sleeveless or otherwise revealing clothing. White (light) colour is highly recommended. If possible (ask the retreat coordinator), you can ask for laundry service for a fee. Smaller items can be washed by the participants themselves. Audio or image recording is not allowed. The purpose of this is to maximize your benefits and optimize your mind development experience. It is a great pleasure for us to serve you by learning, developing, and purifying your mind, so that you, your family, and all other living entities will find true and peaceful happiness in this life. Let's live together as a common family in peace, compassion and harmony!